Thompson Alchemists Therapeutic Soy Candles are formulated to maximize your natural ability to connect to surrounding molecules combining to form a stronger source field which helps ground us and prevent emotional imbalances. Strepsils, Olioseptil and Redoxon grace the window of Thompson Alchemists. Some of the unique and effective wellness products found at Thompson Alchemists. They help keep us healthy and active all year round. Linhart NYC Brushing Station On Wheels! 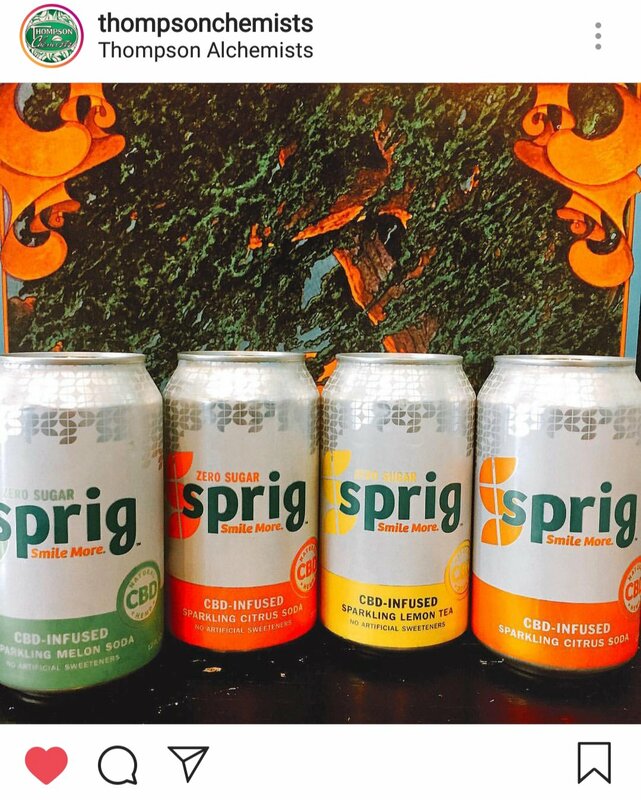 CBD Soda is Here !